When Aaron Abrams came to Lake Tahoe, it was only supposed to be for a single winter. Like many before him, the summers captivated Aaron to stay permanently. His original vision for the Free Bird Café was to open up a mobile ice cream concession similar to the ones he’d seen in other summer destinations like the Grand Canyon. But, any great vision is born with the desire to morph into its final form. Suddenly… a light bulb went off! Looking around South Lake Tahoe, Aaron noticed a major gap in the coffee shop market. Nearly every café served the same brand of coffee, made generic chai and offered the same dull items. Years earlier in his travels, an Indian woman taught him and his partner how to make a traditional Indian Chai from scratch with REAL ingredients. 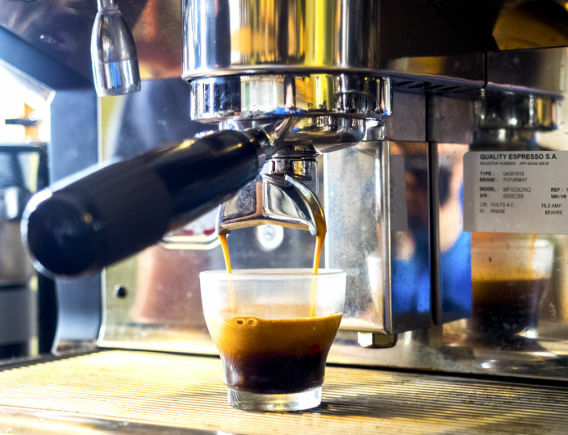 Why not take this original home-made recipe and provide the best café products out there? 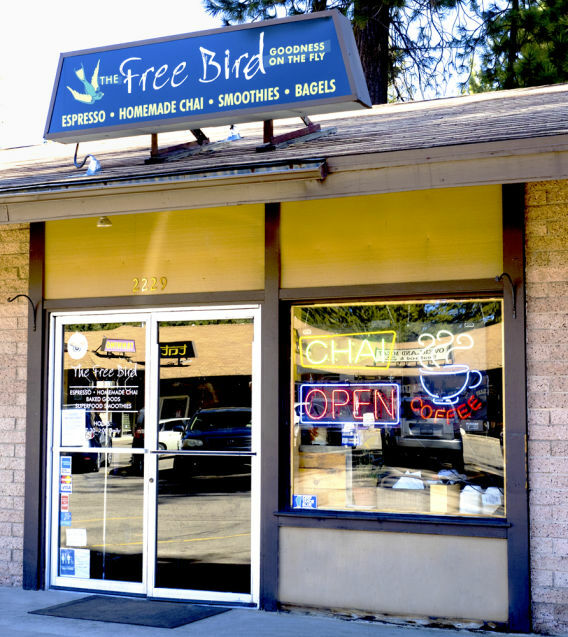 And then… that’s when the Free Bird Café became a reality. After seven years on the map, it was time to expand. They had outgrown their 160 square foot space next to the original Red Hut Café. Nearly every single day long lines would form, and his employees were beginning to get burnt out. It was time to expand, so in June 2017, the doors opened up at the Free Bird West location next to Artemis’ in mid-town. Both locations still serve superior drinks, but the new location has now given people a place to hang out either in the café or outside on the patio. 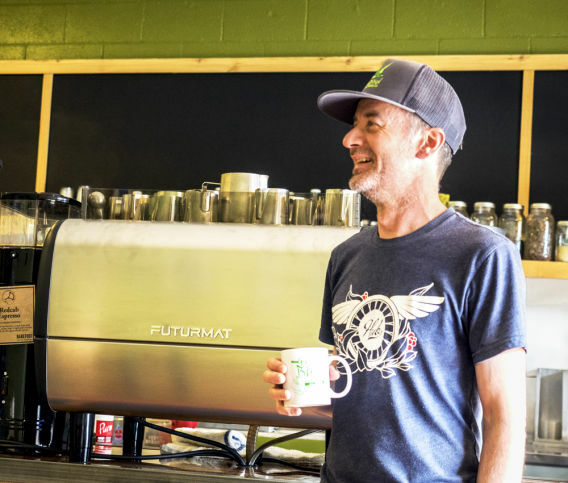 So, the next time you’re looking for a daring pick-me-up before your mountain biking or skiing adventure, stop by the local’s coffee shop. We guarantee you’ll love it!